Choose from these great silicone prints. This is another great silicone cap for your that doesn't pull hair. 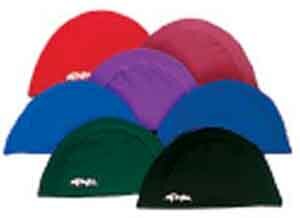 This is a silicone cap which is more durable than latex, doesn't stick to hair and looks great! These silicone caps will fit adults as well as kids. All the prints are great and lots of fun to wear. This is a polyester stretchy cap that is water permeable. What makes this cap so unique is the hair band which pulls all of your long hair back away from the face, then the top cap goes on from the back of the neck to the front, making your hair flat and unnecessary to make a ponytail bump on the top of the head which slows you down and makes all caps uncomfortable and ride up on the head while swimming. You can wear a team cap over this cap if needed. It will also keep the latex cap from sticking to your hair when removing it. ALL KID'S SIZE OR SMALL HEADS WITH MEDIUM TO LONG HAIR SHOULD TRY THIS CAP!!!! YOUR WILL LOVE IT! DIRECTIONS FOR USE COME WITH THE CAP. Designed specifically for racing, the Arena® 3D Ultra Swim Cap features a revolutionary design of varying thickness for ultimate hydrodynamics. Double-thickness over center of head and ears for balance and buoyancy. Cut out back for short axis head movement. Tested and approved by Arena Elite athletes. Wrinkle free and won't pull hair. Extra soft and comfortable for long periods of use. Arena logo on center front. This cap is specifically designed to protect hair from the brutal chlorine and salt water. Its specifically placed fastening tabs seal the seepage points behind the ears and along the back of the neck, and prevent the cap from riding up or popping off while swimming. It is made of tear-resistant neoprene rather than the traditional latex, silicone or rubber. Choose from 3 sizes, UNISEX for short to shoulder length hair, the UNISEX PLUS for larger head or thicker hair and DIVA for long hair, additional hair pieces or thick hair like afros or dreadlocks. These caps are NOT feminine looking so men purchase these as often as women do. Many of the standard silicone and latex caps just do not fit a men's size head comfortably while these caps do. This cap is exactly like the UNISEX and DIVA caps except for the size. This will fit a person with a little larger than average head (measure around hairline should be about 25"). It also works well for long straight hair or shoulder length curly hair. It does not have as much room in the top of the cap as the DIVA. This cap is specifically designed to protect hair from the brutal chlorine and salt water. Its specifically placed fastening tabs seal the seepage points behind the ears and along the back of the neck and prevent the cap from riding up or popping off like conventional caps. This is a great print for a swim team with a shark in their name. This is a great cap for a swim team with dolphin or porpoise in their name. Silicone caps are known for the durability and not sticking to hair. Silicone cap with colorful design. Silicone swim caps with no company logo on them for use in college and high school swimming. Perfect for every day use. Silicone is fastest going through water and is more comfortable because it does not pull hair when putting on and taking off this cap. Don't be fooled by CHEAP copies of the silicone cap. This silicone is the best quality. Silicone swim caps with no company logo on them for use in college and high school swimming. 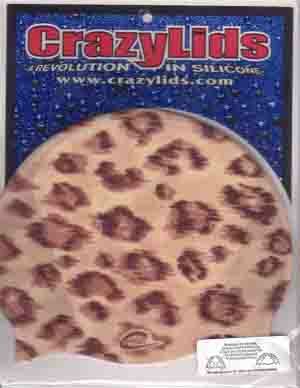 Don't be fooled by CHEAP copies of this silicone. This cap is made from the best quality siliocne. 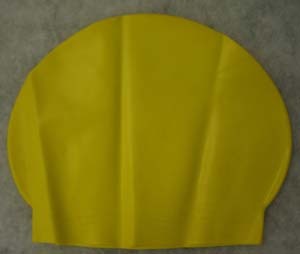 Latex swim caps with no company logo on them for use in college and high school swimming as well as anyone wanting a latex cap. These are a quality latex. One size fits all. Made of the same material as POLYESTER swimwear. POLYESTER provides durability and color retention. This a great for a liner for latex caps to prevent the cap from pulling the hair when putting on or removing the latex cap. Silicone cap bursting with American pride. 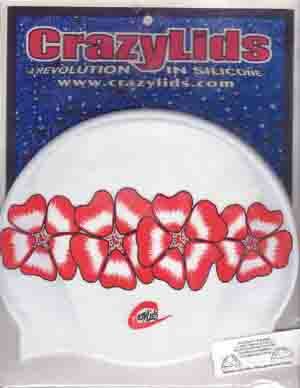 Silicone cap in a head band design. Silicone cap with a color pattern perfect for blending in with your surroundings.